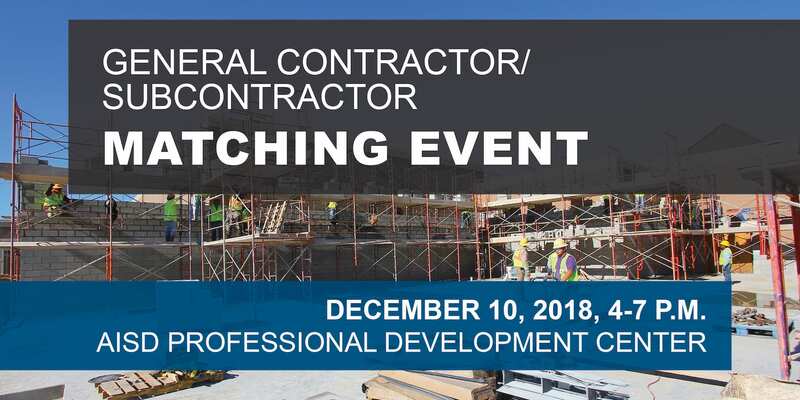 This speed-meeting event will give subcontractors the chance to sit down with major general contracting firms to present their capabilities and discuss partnering opportunities. DATE: Dec. 10, 2018 TIME: 4-7 p.m.
GENERAL CONTRACTORS: Sign up for a free table for up to 3 company representatives. Subcontractors will visit with you in 10-minute intervals to present their firm's capabilities, capacity and experience. RSVP BY NOV. 28. SUBCONTRACTORS: Admission is free. Please come prepared with your Capabilities Statement, one-page leave behind, or other marketing materials. Be ready to spend about 10-minutes introducing your firm to attending GCs. Sessions will be timed, so gear up for this fast-paced event.